Jayalalithaa had first taken up the matter with former Prime Minister Manmohan Singh in 2011 after winning the assembly polls. Tamil Nadu Chief Minister Jayalalithaa, who had boycotted the swearing-in ceremony of Prime Minister Narendra Modi, will meet him on June 3 to take up issues relating to the state’s growth. Jayalalithaa will meet Modi at his South Block office in New Delhi on June 3, a state government release said, adding, she will present a memorandum to the Prime Minister. 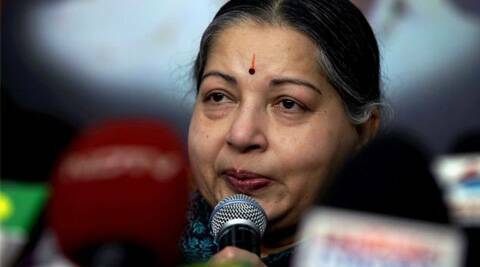 “This memorandum will include some crucial issues relating to Tamil Nadu which have been pending with the Government of India,” the release said, in an apparent reference to Jayalalithaa’s demand for a relief package from the Centre among others. She had first taken up the matter with former Prime Minister Manmohan Singh in 2011 after winning the assembly polls and has been pressing for the demand ever since. Jayalalithaa had boycotted the swearing-in of Modi as Prime Minister on May 26, opposing participation of Sri Lankan President Mahinda Rajapaksa in the ceremony.